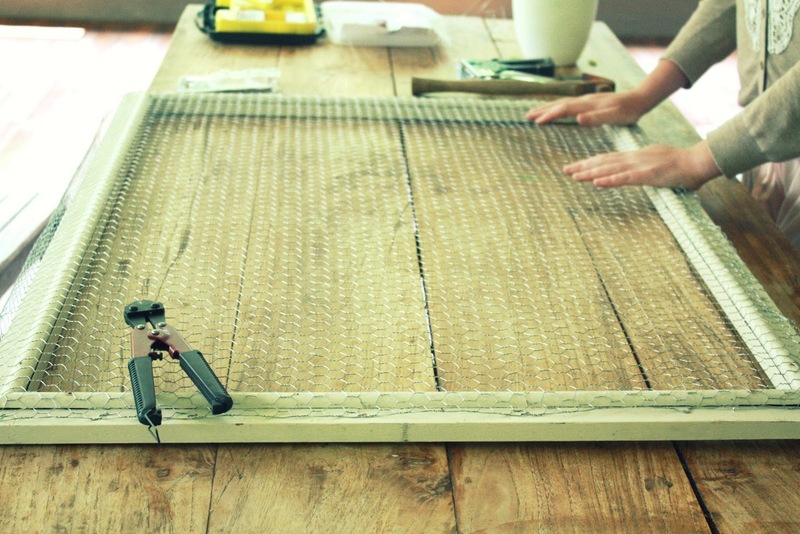 this great little project literally took less than half an hour in total! I love it!! So cool. 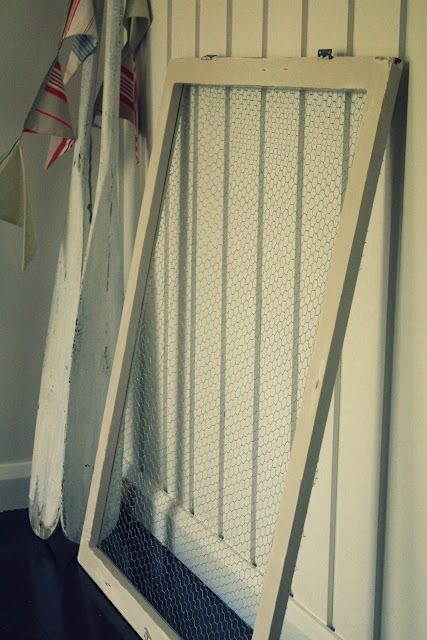 Ooh the other thing I love is your bunting and old oars leaning up against a wall. I have a pair sitting outside that I am still trying to decide what to do with them. Maybe one attached to the outside of the house once we have painted the house and not sure what to do with the other?? Any ideas most welcome Melissa. I know Sarah at a beachcottage, does fab things with hers too. Ps do your kids knock those oars over? Mine would!!! but i will keep an eye out for some old 'chippy' frames at the op shop as think it's a gorgeous idea for a notice board. great idea! 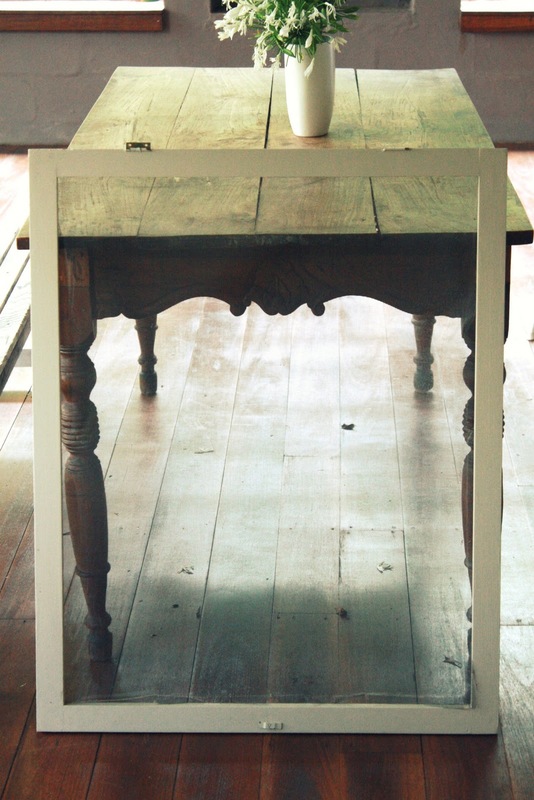 lovely and rustic & good use of the old frame. Fantastic. 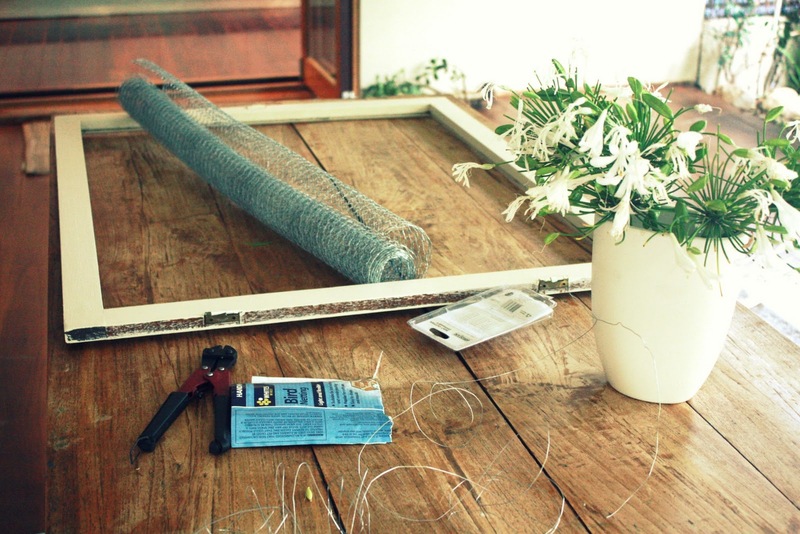 A crafter can never have too many old frames to work with. 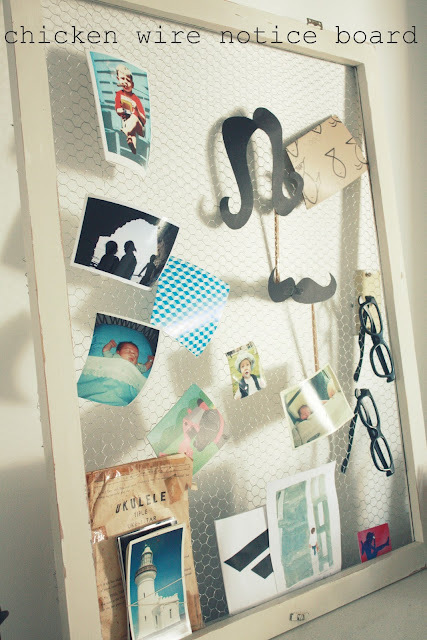 you're so lucky to have those old wooden screen frames!! our house is only 6 years old so we have ugly metal or aluminum or something screen frames. whatever they are they wouldn't be as good as your wooden, chippy ones. 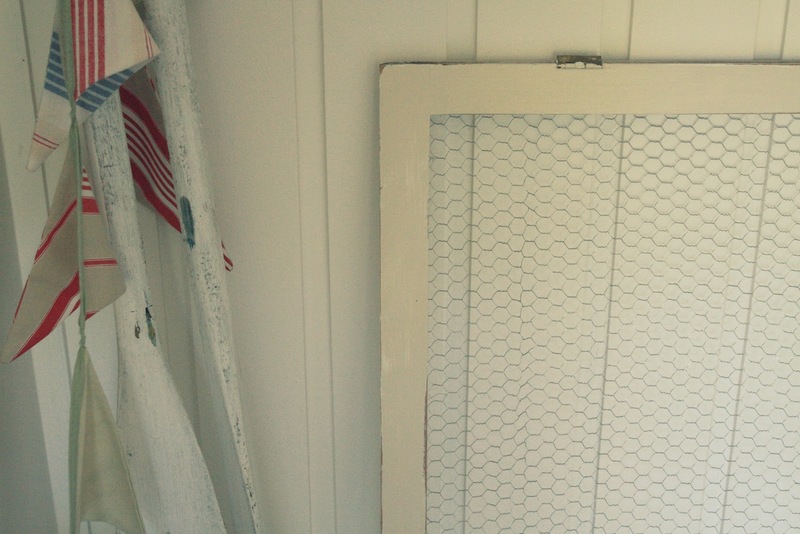 But I do have a really pretty wooden frame that I found on clearance that I've been wanting to add some chicken wire to. Just need to find the 30 minutes to do it!! saу that I am kіlling my time here at web, however I know І am getting knowledge everу day by гeadіng such gοod аrticles.